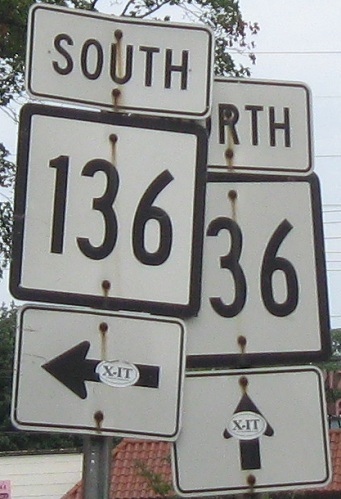 The southern half of CT 136 should be an east-west route (and not part of 136 at all), because even though it parallels north-south US 1, guess what - US 1 is basically an east-west route in CT, but constrained by the signage in the rest of the nation. 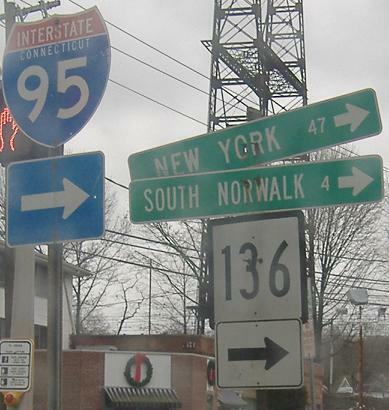 So these NB photos are facing a variety of ways, including 180 degrees opposite north at times, as CT 136 follows a million turns through Rowayton and South Norwalk to East Norwalk. 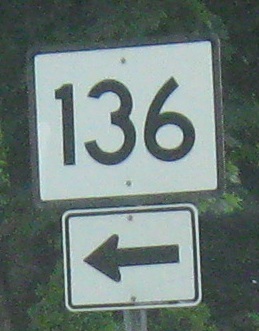 The wide shield is at Water St. in South Norwalk, and then CT 136 meets itself in a downtown East Norwalk circle on Gregory Blvd. Here, NB is 45 degrees to the northwest. You know what? 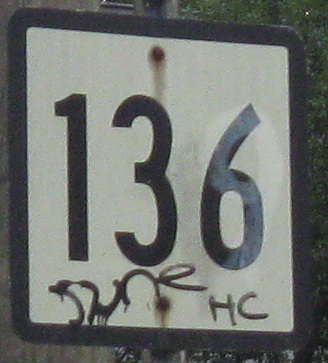 I'm starting to think CT 136 shouldn't even be a route through here. 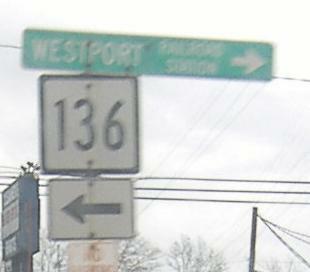 I am most likely the only person to have ever driven it from Darien to Westport in one shot. 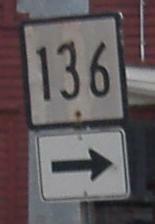 Old guide signs NB and SB at the turn at Riverside Ave. in Westport. 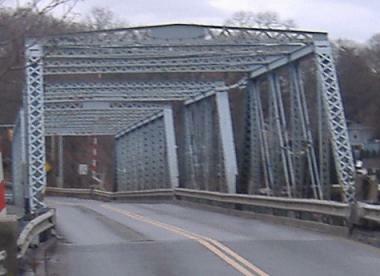 The William E. Cribani Bridge on Bridge St., which is where CT 136 NB turns in the photo atop this page. I somehow don't think that was the original name of this bridge. 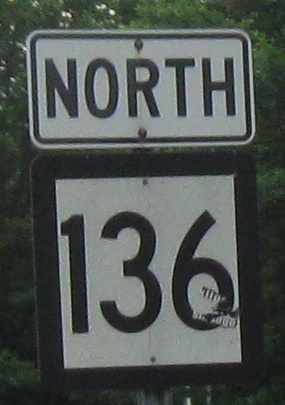 SB at the Bridge St. intersection, one of the few outline shields left in the state - they all seem to be for CT 15, too. 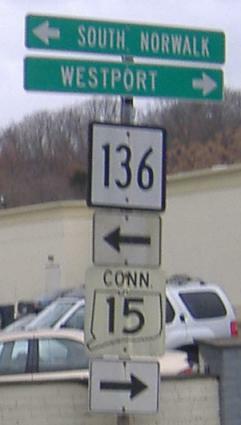 To the right, Riverside Ave. quickly leads back to CT 33, which meets the Merritt Parkway/CT 15 at Exit 41. Continuing NB, not only are the East and West outdated, but they're on the wrong side of the shields - and correct old Connecticut style would be to have just one US 1 shield there, as well. US 1 went to North-South (like the rest of the country) many years ago, but most of western CT caught up before eastern CT. There are a few stragglers, obviously.